It’s an interesting tale of two cities, almost identical in size on opposite sides of the Canada / U.S. border. Chicago, which already has a commuter rail link between its O’Hare Airport and downtown wants to build an express rail service that would be built by the private sector with tickets cheaper than an equivalent Uber fare. Sound familiar? 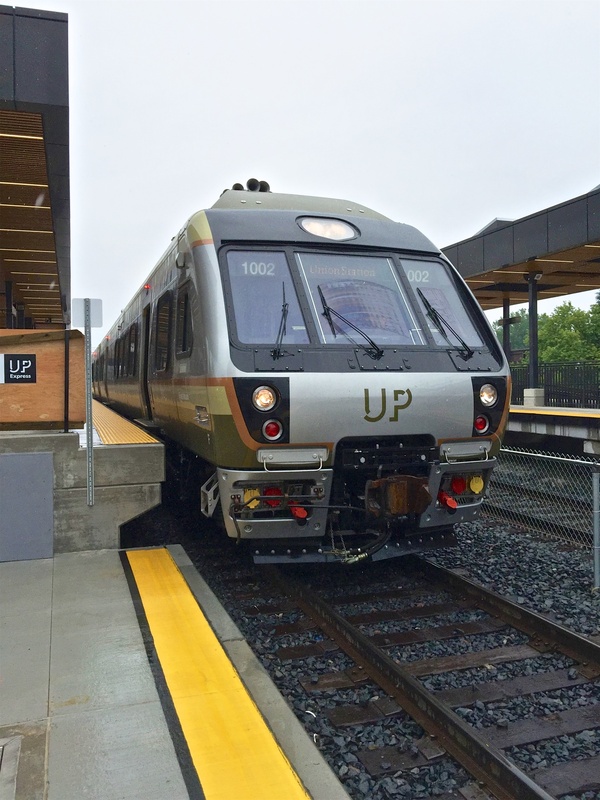 In the article, Chicago TV Station WTTW reveals the cautionary tale of Toronto’s UP Express, getting most of the facts correct. Read the article and watch the video here. As an aside, Metrolinx wants to investigate building a passenger rail connection to Pearson Airport by way of the Kitchener line (which runs through Weston) or the Crosstown that will run along Eglinton. 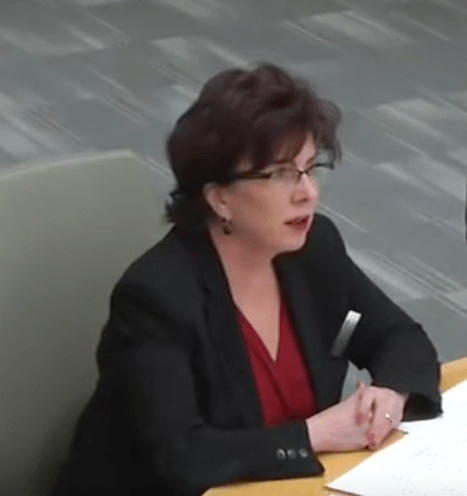 In response to Adam’s article on speedy VIA trains, Mike Sullivan pointed out that Metrolinx refuses to allow VIA Rail trains to stop at Weston. Via desperately wants to stop in Weston. 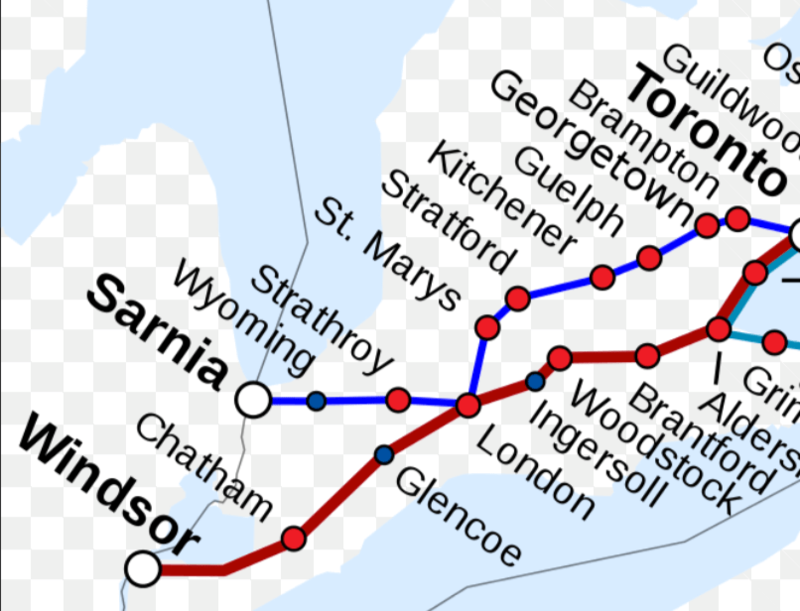 Their trains come from Sarnia, London and Kitchener, and patrons who want to go to the airport have to go all the way to Union and double back, adding about an hour to their trip. Metrolinx refuses to let them. There are 4 trains per day (two in each direction) and Metrolinx says their dwell time (the time it takes to unload and load passengers) is too long and would interfere with the UP express schedule. They did suggest that when the 4th track is in place maybe things would change. It may also have to do with the Kitchener part of the trips. Metrolinx wants to be the train of record from Kitchener, and VIA is in competition. If you aren’t depressed enough, read this Star article about GTA transit planning. By nixing road tolls around Toronto, Kathleen Wynne failed to cauterize the arterial bleeding of a corpse-white SmartTrack plan that would have benefitted Weston and Mount Dennis. Wynne killed the tolls because she faces a tough reëlection fight next year. The bill for the western part of SmartTrack was to have been roughly $2 billion. The province has promised to give Toronto $170 million a year in gas-tax money, short of the roughly already-inadequate $250 million tolls would have raised. The gas money will go to all transit in Toronto, not only SmartTrack. Tory’s revised SmartTrack plan would have built an extension of the Eglinton Crosstown LRT out toward the airport from the Mount Dennis station, connecting the west end to Etobicoke, Mississauga, and Pearson. Tory did bring much of this pain on himself, promising a magical line that could leap deep valleys, tunnel far underground, and be built by 2021 without raising taxes. He complained to the press about being treated like a boy in short pants by Wynne—but boys do dream about trains. Author Roy MurrayPosted on February 5, 2016 February 5, 2016 Categories Ahmed Hussen, GO Train, Metrolinx, Opinion, Pearson Airport, UP ExpressTags Ahmed Hussen, Councillor Frances Nunziata, Laura Albanese, London, metrolinx, Ontario, VIA Rail, Weston Station4 Comments on Metrolinx to VIA: No dice.